A young black photographer is invited to the home of his girlfriend's parents in an affluent, leafy and predominantly white suburb, but his expected sense of being out of place soon turns to outright dread. 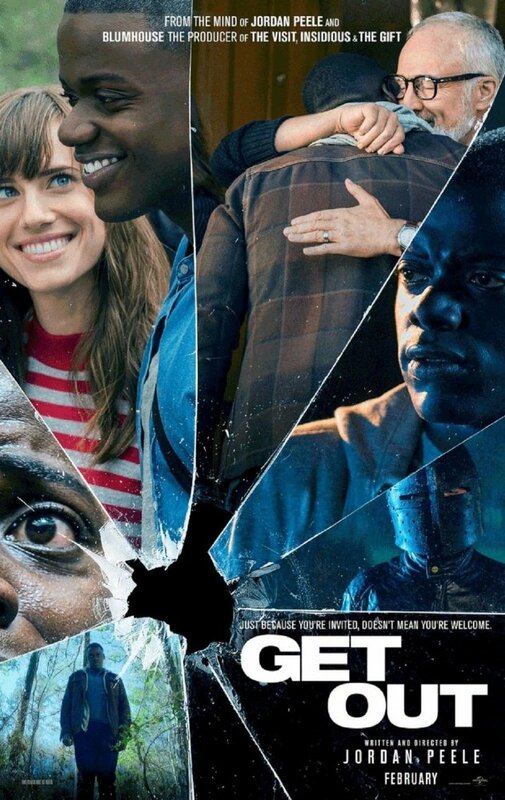 A genre-defying psychological horror/thriller from first time director and writer Jordan Peele, Get Out shows an understanding of how the sci-fi and horror genres are best served; with a healthy side of social commentary. Essentially a cross between Guess Who's Coming To Dinner and The Stepford Wives with a dash of The Shining to garnish, Get Out examines the issue of race in contemporary America without resorting to the kind of heavy handedness we usually see from Hollywood. Chris is subjected not only to the overt but also the kind of casual - even unaware and unintended - racism from the otherwise well-meaning, something which is treated with sensitivity and even humour, mostly provided by best friend Lil Rel Howery. The direction gives a really nice sense of something being "not quite right" bubbling under the surface of outward civility and the central performance from Daniel Kaluuya hits all of the right notes. A clever, amusing and suspenseful story from a potentially great new talent.